White blood cells. 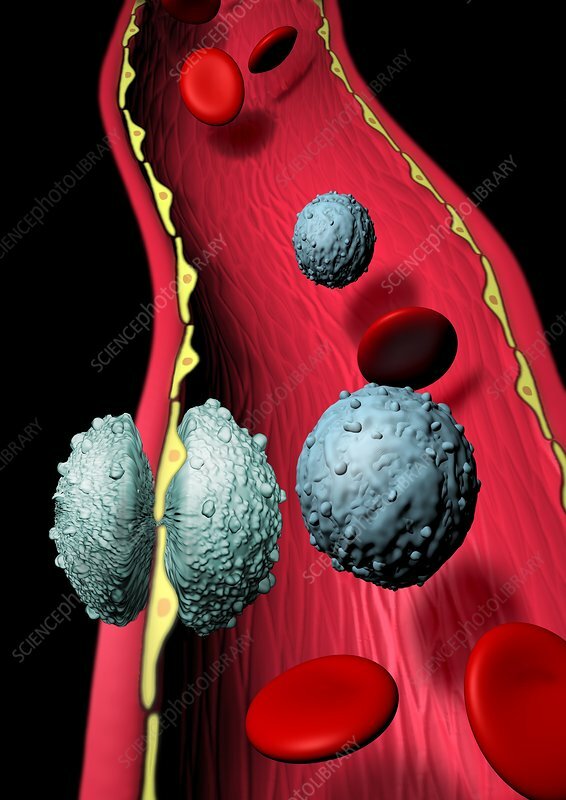 Artwork of three white blood cells (lymphocytes, grey) in a blood capillary. Some red blood cells (red) are also seen. One lymphocyte (centre left) is moving through the capillary wall (chemotaxis). Chemotaxis is movement of a cell due to a chemical stimulus. The stimulus may be due to regulatory proteins (cytokines), which generate the immune response.